So when Molly asked me to blog for the wedding channel here on COLOURlovers I couldn't say "YES!" fast enough. I have been using the tools on this website for a little over a year now when developing color palettes for weddings and branding my blog, Fancy Pants Weddings and re-branding my floral business, Flourish. I am a HUGE fan! Flourish is my main business. 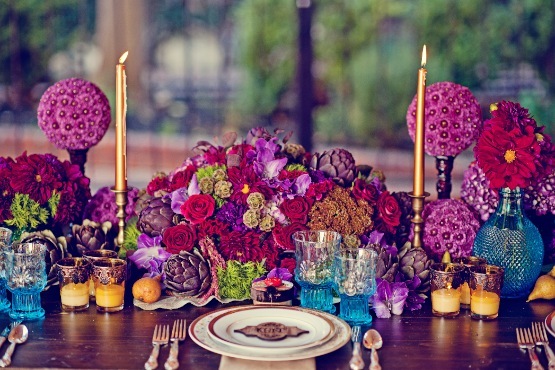 We are a special event floral design company in Sacramento, Ca. I have been in business for over 20 years. Every day brings me a new set of design challenges and I love it so much. 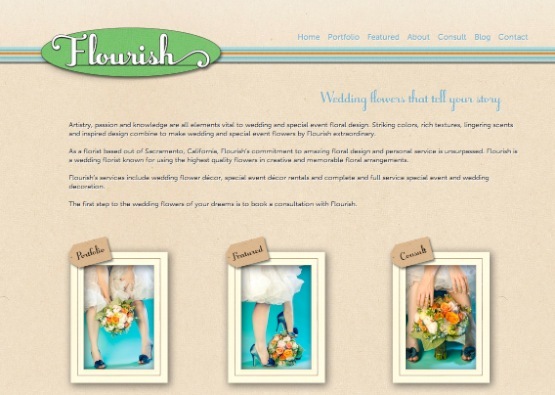 I have designed florals for over 800 weddings and events. About 10 months ago I realized my brand could use some dusting off and sprucing up. John Conley, graphic designer and friend, developed the color palette and logo that were the starting point for a complete brand re-vamp. He has also helped me with every aspect of the branding from the look of the website to business cards. But in the end it always came back to the colors. This is the palette we started with when we first started talking colors for Flourish's new brand. As you can see, after a few minor tweaks we stayed pretty true to the original color ideas. 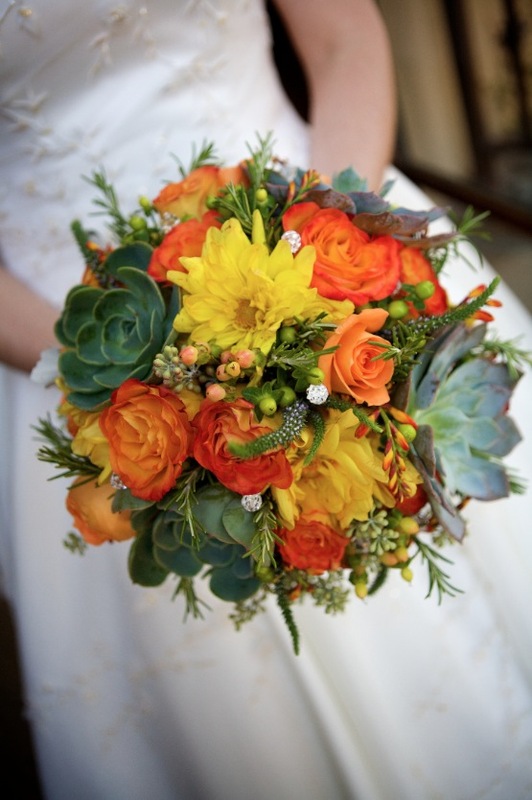 Recently, I helped a bride develop a color palette using COLOURlovers for her wedding. Erin had a hard time blending colors when she was developing the look and decor for her wedding. The palette we put together was the main tool she used when choosing all the elements of decor for her event. Linens, paper products and florals all centered around this palette. 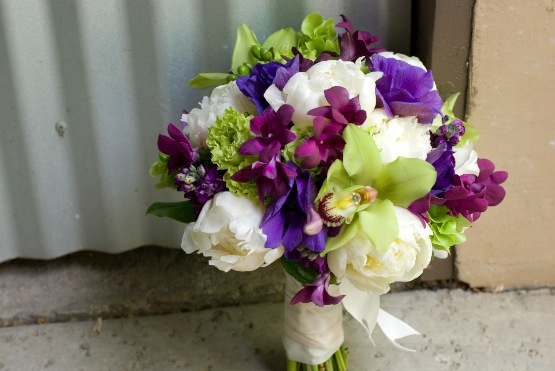 Her bridal bouquet (above) added a little punch of magenta/purple and ivory to the original palette we chose. Her bouquet consisted of Super Green roses, peonies, cymbidium orchids, dendrobium orchids, anemone, stock, Bells of Ireland and hypericum berries. It smelled heavenly too! 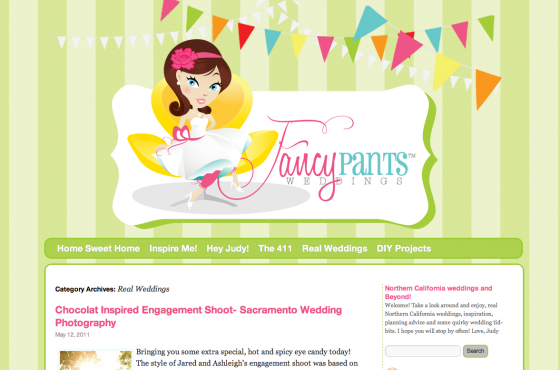 Because clearly I do not have enough to do, I also write the blog, Fancy Pants Weddings where I dish out advice and help to brides and grooms planning their Northern California weddings. I also feature images of real Nor-Cal weddings, do the occasional wedding craft, and try not to take it all too seriously. Stop by and say "howdy!" Because no blogger wants to feel like they are talking to themselves. I am looking forward to writing more for COLOURlovers regarding weddings and all that goes into to planning the big event. Amazingly beautiful work, Shannon! And, its great to see how someone practically uses palettes to create wonderful, visual work. Welcome Shannon! Looking forward to some beautiful floral palettes. Amazing post!!!! Flowers are a big inspiration to me!